It’s 80°F right now… that’s around 27°C for the rest of the world… It’s been really nice all day long. After our gym workout, we did our produce run to Gentile’s, I took a truckload of yard garbage to the dump, and Victor went off to an eye doctor appointment. In between all of that, we roasted beets, fried peppers, hard-boiled eggs, and made a couple of salads. Multi-tasking. Our secret to our lunch salads is having stuff readily available. We can have a salad on a plate in mere minutes. It just takes a bit of advance planning – something from those years of restaurants and hotels that is finally paying off. 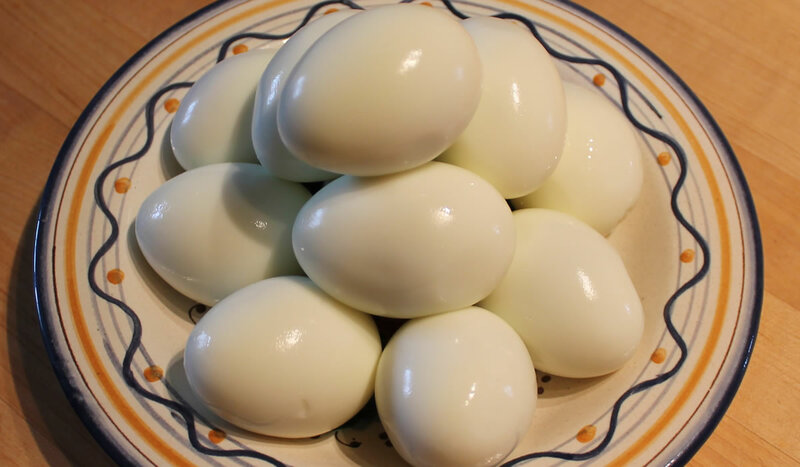 First thing is hard-cooked eggs. These are breakfast and salad items, so we always have a lot of them. It took me years and years, but I finally figured out how to cook them so they will peel. I steam them for 20 minutes. I do not boil them in water. It’s working. 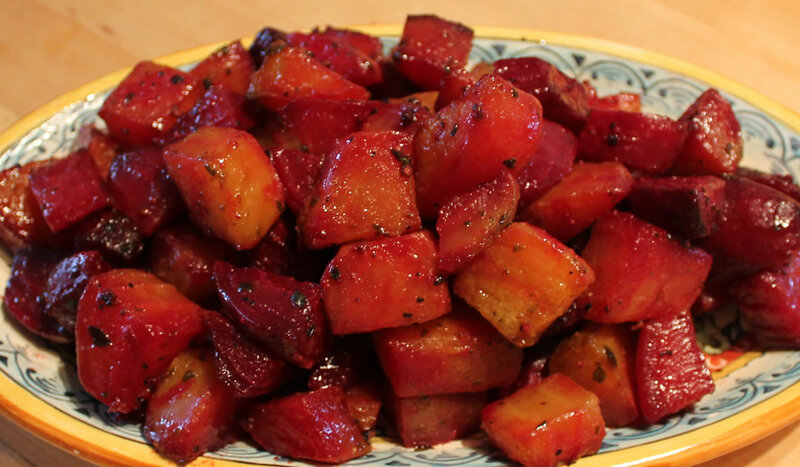 And roasted beets… Both red and golden – they look just spectacular – and taste even better. Victor always hated beets. He’s the one who picked them out at the produce store and roasted them. Never say never. 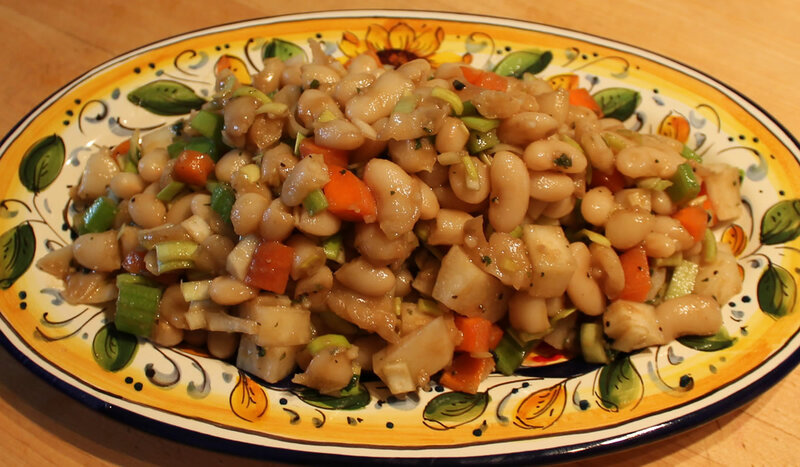 I soaked a pound of cannellini beans last night and made a really simple salad – carrots, celery, radishes, leeks, a bit of garlic… lots of crunchy things to go with the soft beans. Oregano, olive oil, and balsamic vinegar. Simple, and really yummy. Next is a rice and grain salad. 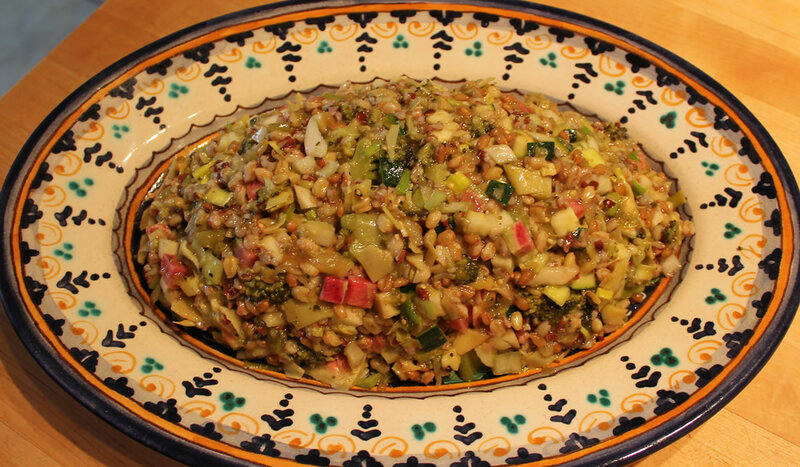 Red rice, farro, and barley, with more leeks, watermelon radishes, artichoke hearts, broccoli, and zucchini, with a dressing of tomatillo salsa and south of the wall-type spices. Besides a great dinner, tonight, these will get us through about 3 or 4 days – and then we’ll start on another batch. Tonight’s dinner included all of the above and avocado, tomato, lots of greens, a NY steak, and Spicy French Dressing. The perfect end to an industrious day.